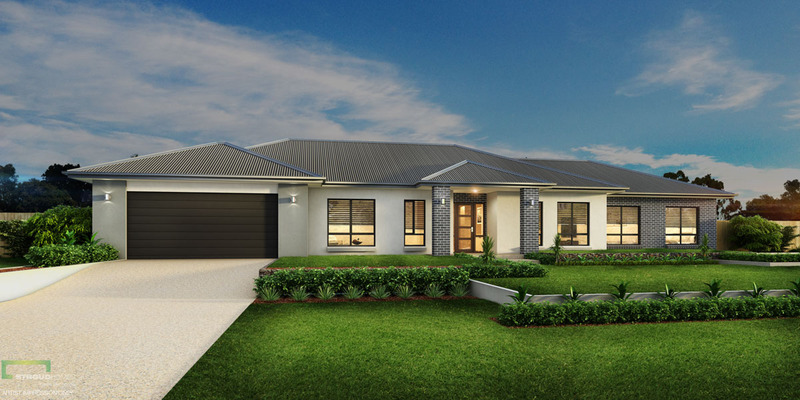 From free site inspections and all preliminary tests to incorporating sheds, driveways and pools into the design, the team at Stroud Homes Toowoomba excel at building beautiful acreage homes. As award-winning builders, we have built hundreds of family homes, including large acreage designs that encompass everything that acreage living has to offer. When it comes to making the most from your land, we’ll provide you with expert advice when planning the orientation of your home, installing water storage tanks, household sewage treatment plants (HSTP), swimming pools and large shed installations. Our well-established trade team is also accustomed to a bit of distance, so if your piece of paradise is a little off the beaten path, you won’t be paying the earth. When you browse our range of beautiful acreage home designs, you’ll soon notice that this is no ordinary range. These well-thought-out acreage plans have been designed to bring the outdoors in so that you feel connected to the natural surroundings while indoors. We have exceptional designs that cater for all walks for life and also offer bonuses if you find the perfect plan and don’t need to make any changes. If you’re looking for a great team to build your next acreage home, book a free site inspection with our sales team. Contact us about building your acreage dream home!